Step 1: The EPS foam pattern is molded on a molding press which injects the polystyrene in the aluminium tool loaded on the machine. 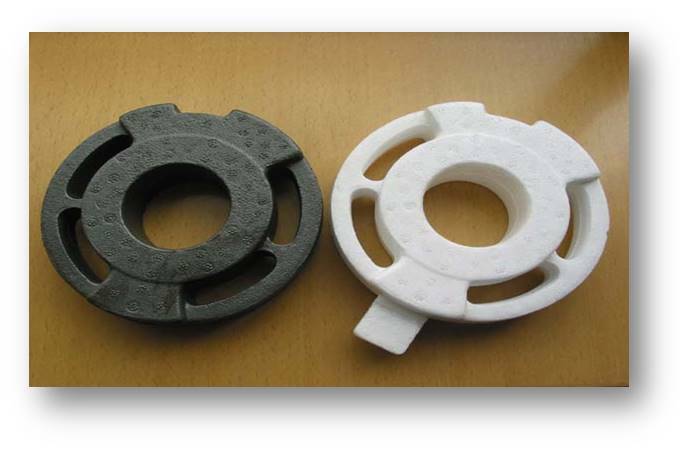 Steam heating of polystyrene beads converts into a light pattern form that is smooth, accurate, lightweight and looks like the product to be cast. Step 2: The molded foam pattern can be a single pattern, several small patterns or a pattern in multiple sections. Pattern sections are glued manually or in a gluing machine to form a single pattern. Similarly smaller patterns are glued to a sprue to form a tree. Runners & risers are then glued to the patterns to complete the methoding. Step 3: The glued pattern assembly is then coated with a refractory coating by dipping it in a tank that contains a slurry.The slurry is mixed continuously to maintain properties. Step 4: The wet pattern is covered with a sand-like stucco, or dry crystalline silica of a controlled grain size. 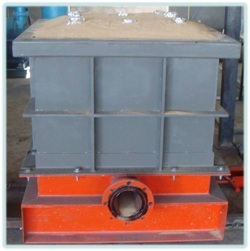 The slurry and grit combination is called ceramic shell mold material, although it is not literally made of ceramic. This shell is allowed to dry, and the process is repeated until an even coating covers the entire piece. Step 5: The coated assembly is now placed in an oven which vaporizes the polystyrene foam pattern and further cures and strengthens the ceramic coating. Step 6: The ceramic shell is embedded in a flask containing dry sand then vibrated to compact the sand. The ceramic shell is then filled with molten metal. Sand never comes into contact with the casting. Step 7: After cooling, the casting is removed from the loose sand. The ceramic shell is then broken away to show the finished product before the final riser removal and normal cleaning. 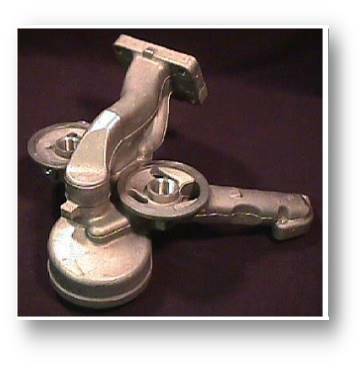 Welding, machining and surface treatment are minimized.